Help refugees this winter. Give monthly. Refugee families escaped war, hunger and persecution, but now they must face a new threat: a cold and snowy winter. 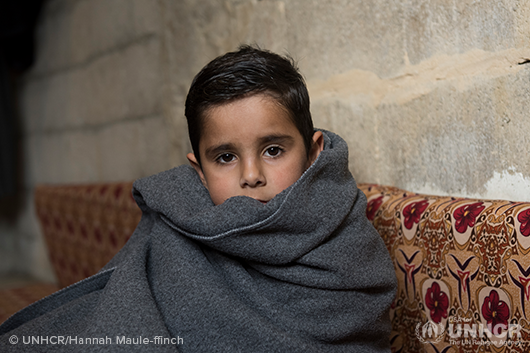 Right now, refugee children are shivering under thin blankets, wondering if they will ever be warm again. They go outside without hats or gloves and sleep on the cold ground in flimsy tents at night. They lack basic supplies to survive the winter – supplies you can provide. The UN Refugee Agency is on the ground working to keep refugees safe. We need your help to save lives. Your monthly gift will help keep refugees safe and healthy for months to come, changing the lives of people in need.